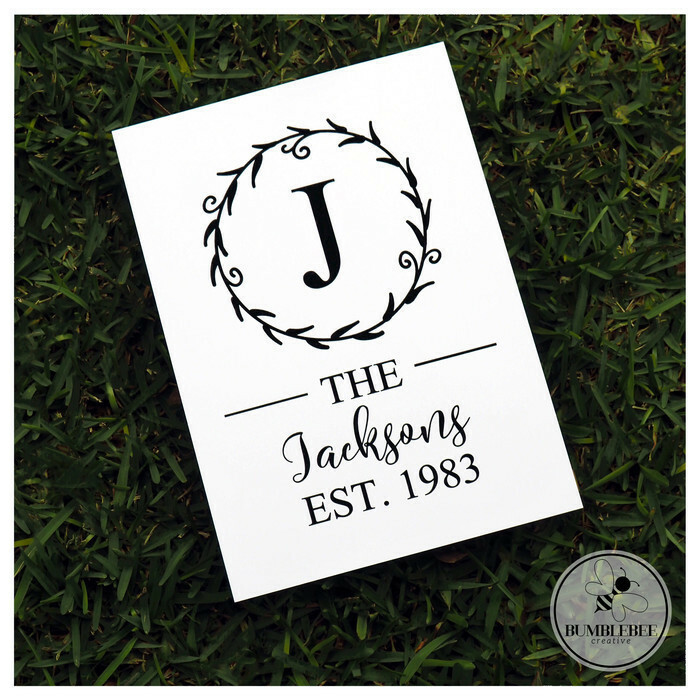 Celebrate the start of your family with this custom made family keepsake. 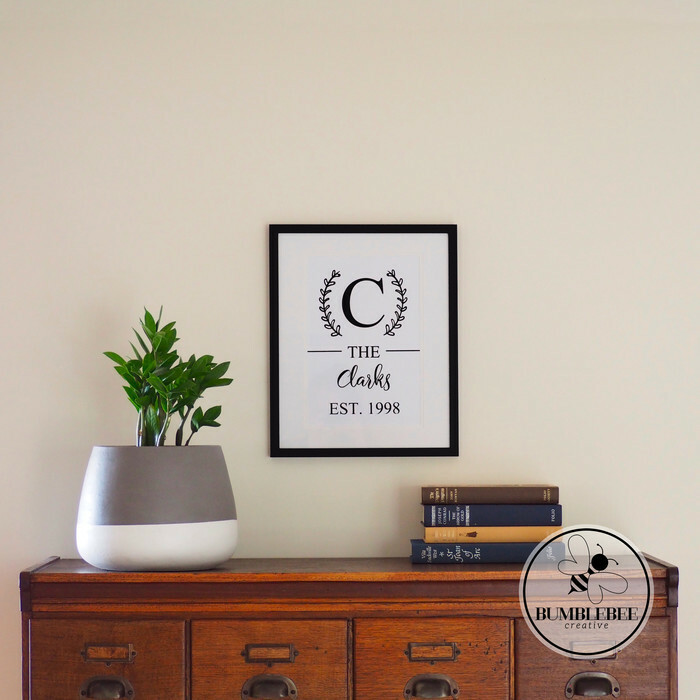 This print is a great gift as a stand-alone print or inclusion on a photo wall. This family established print is printed on A4 250 GSM Premium Paper and will be posted in a plastic sleeve backed by strong card in a rigid mailer. During checkout please ensure you leave a note detailing your custom requirements. After ordering I will contact you via email with a design proof for your approval. For current turn around time, please see Store Announcement. For urgent orders, please contact me directly to make sure I can meet your deadline. Find me on Instagram @bumblebee.creative or Facebook @BumblebeeCreative. Hi, thank you for supporting my handmade business. During checkout please ensure you leave a note detailing your custom requirements. 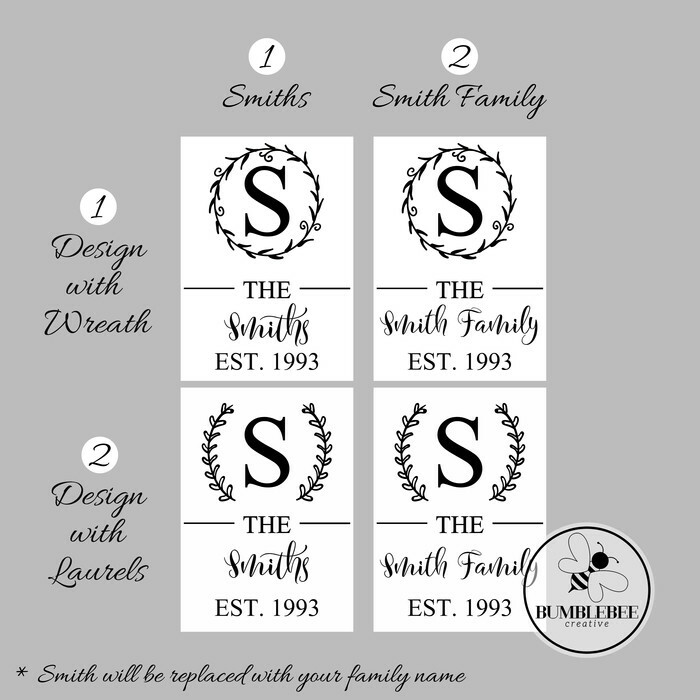 Family Name Design The Smith Family or The Smiths 1) Wreath or 2) Laurels After ordering I will contact you via email with a design proof for your approval. Have a great day!